With user expectation shooting off the roofs and human attention spans shortening by the day, marketers like you need to be faster and smarter. No one has the time nor the patience to wait for their queries to be answered after a few hours, let alone a day or two. Information is expected to be delivered unimaginably fast, especially when it comes to marketing to millennials. Did you know that 81% of consumers demand faster response time from brands than they did previously? Considering this, it should come as no surprise that 70% of users say live chat has the highest satisfaction level for them. Live chat is an untapped medium for many marketers. 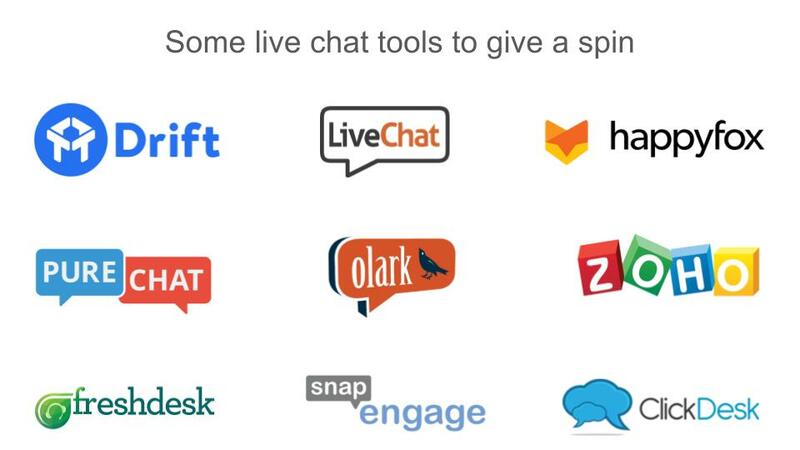 Over 19,000 companies are actively using live chat to provide users with swift customer service. Have you implemented it yet? If not, don't fall behind. 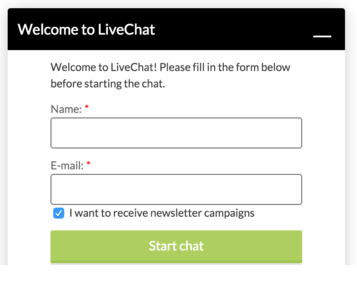 You can start using live chat on your website to address major leaks in your funnel, but before you do, have a look at these quick tips to make sure your live chat is effective. 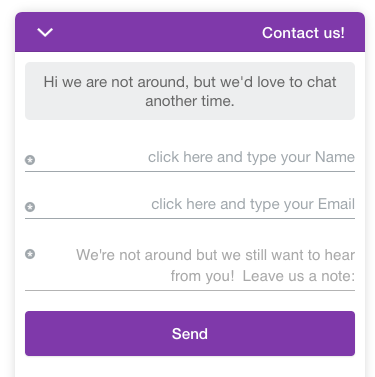 The whole idea of live chat is to create a more friendly UX through direct conversations. What’s the point of having live chat if no one knows it’s there? With this in mind, place the call-to-action for your live chat where it is easy to spot. Some websites even use a sound effect to make the users aware of their chat box. You can even consider making it sticky throughout the website so people have easy access whenever a question or concern arises. The last thing you want is a confused customer roaming around your website, not taking action. Time is precious. Many won't sit and search for your chat when they have so many other options to shop from. Don't confuse your users with verbose or overly technical language. When they first open your chat, your copy should be inviting and approachable.It also should be to the point and helpful, not self-serving. The point of implementing a live chat is to remove complications and confusion. So, let your user do most of the talking. 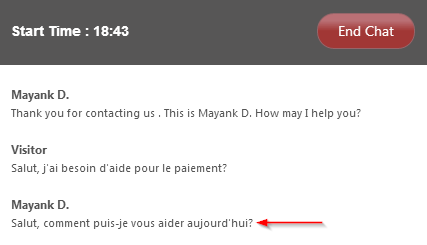 If your staff is bilingual, use this to your advantage in your live chat. Speaking someone’s native language creates sense of familiarity, comfort, and even trust that may not be achieved if someone is not fluent in your first language. Not to mention, it expands your audience reach. Regardless of what language you are speaking, also make sure to use terminology or explanations that your user will understand. You want what you say to resonate with them. Quick follow-up plays a vital role in making customers happy, but that doesn’t mean you have to work 24 hours a day. Just make sure that you make your hours of availability clear to your user. You can also provide an option to add their email ID for you to get back to them or vice versa. Whether it’s during your on or off-hours, make sure that people know when they can expect a response. While live chat is expected to be instantaneous that isn’t always realistic so letting people know there is a short wait can help buy you some patience. However, don't end up writing something you won’t be able to keep up with, as this will lead to frustrated users. Set a realistic expectation that you can actually meet or beat. Leaving people waiting for too long can leave a very poor impression, especially if a sale is on the line. Every user is different so you need to be prepared for a variety of different questions. Some of them may even be frustrating questions that can easily be answered through your website, but you need to be patient and try to be helpful. Your ultimate goal is to convert the user. If they do not understand what they need to do, do it for them if you can, or share screenshots to make it clearer. Some users will be slow to respond and some may even be angry, but that’s why you have a live chat in the first place; to diffuse these situations first-hand. Don't leave any user’s question unanswered. Whether it’s a complaint or something outside of your industry (so long as it’s clearly not spam), offer a response. 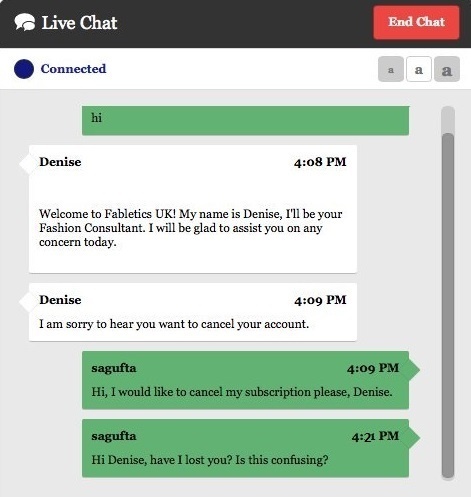 Remember, the whole motive of a live chat is to help a user, even if it means telling them how they can unsubscribe. When using live chat, many users will ask the same question and your answer is likely going to be the same. Why waste time typing out the same thing every single time? Canned messages are pre-crafted messages that can be sent to users while you can attend multiple other customers. These messages can still be personalized, but they save you the time of having to type out lengthy instructions and help you solve issues quicker. Canned response are useful, but don't throw multiple at a user. While canned messages are helpful, they can make your conversation come off as cold. You still want your user to know they’re talking to a human being. 62% of users said they want live chat to be available on their mobile phones. Keeping this in mind, isn't it sensible to make you online chat available on mobile devices too? You need to be where the users are, to attend them no matter what device they are using. A chat with your users can be a jackpot for your FAQ page or for future conversations. There are organizations that have received 176.33% conversion rate increase just by studying the chat transcripts and making changes in their website. Your own records aside, offering to send your transcript to the user creates a sense of trust and transparency. Useful information can be stored for future reference. 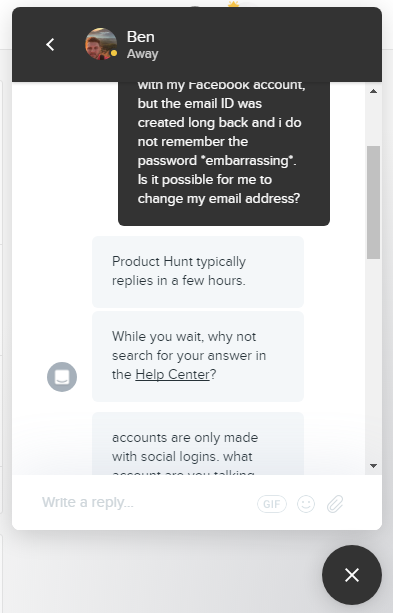 When opening your chat, some platforms will enable you to ask your user for their email address even before they start interacting with you. By gathering this information off-the-bat, you can store the conversation in your CRM, and provide a more personalized experience if/when the user revisits your website. You can surprise them by addressing them by name the next time they show up and also troubleshoot issues more effectively with the details of previous inquiries at your fingertips. There is a common misconception that live chats are just for answering user queries, but there is more to it than just that. Chat is best leveraged pre-sale, by building curiosity and excitement and sometimes even luring the users to chat with you. Different campaign templates can be used on different pages for maximum impact. Addressing common concerns before even the user realizes them can often prompt a valuable conversation.